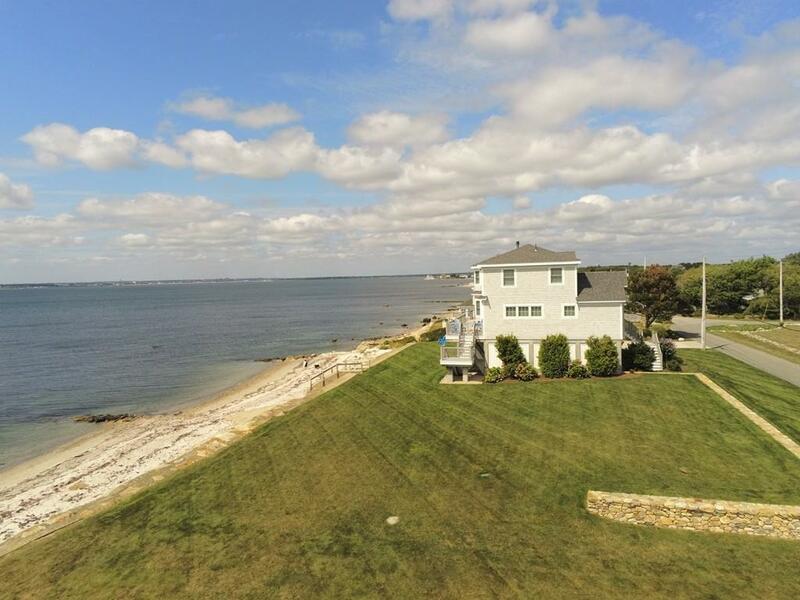 Rarely does a turn-key, beachfront home become available like this "new" waterfront beach house, built in 2013, on its own sandy shore. 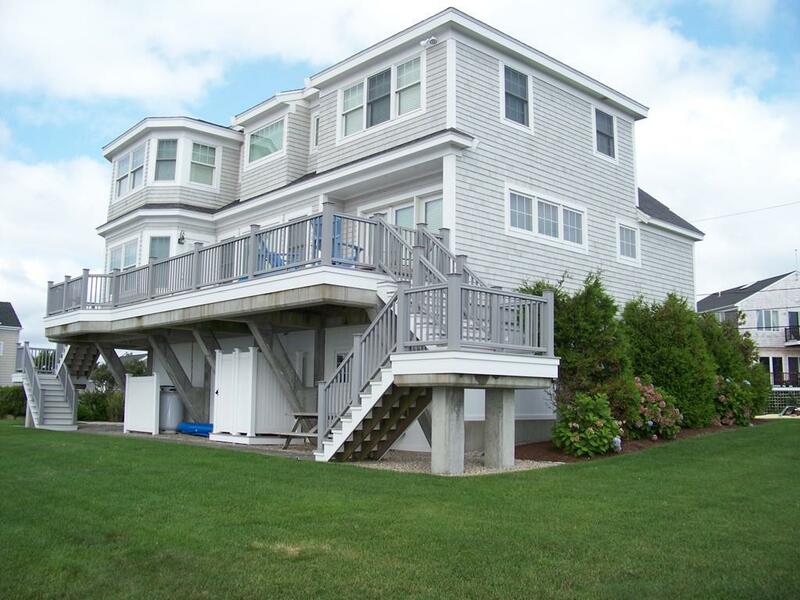 Erected to current flood requirements, this luxurious vacation/ year round home has today's open floorplan, solid hardwoods and tile, three en-suite bedrooms, window seats and decks off the main areas to capture the ocean, just steps beyond. From the front door enter into the living room with gas fireplace, open to kitchen and dining.To the left is the master suite with walk-in closet and large private bath. Off the kitchen are stairs to the 2nd floor, a half bathroom with laundry, separate utility room, as well as stairs to the basement/garage. Upstairs is a large family room with window seat-bed and 2 guest bedrooms, each with a bath. Built with a breakaway foundation that is enclosed and ventilated, the combination garage/basement is perfect for storing cars, bikes, boats and other gear. Lush, irrigated landscaping and stonewalls frame the street. Listing courtesy of Bette Hamilton of Olde Dartmouth Real Estate. Disclosures Former Cottage And Garage Were Demolished Before Building New House. Google Earth And Other Websites Have Former Structures in Photos. 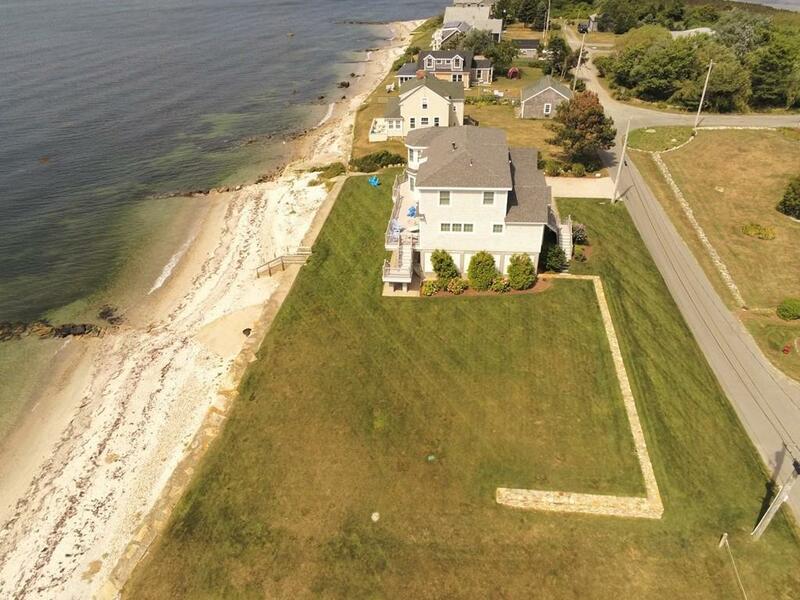 About 175 Ft Direct Frontage On Buzzards Bay Facing West For Beautiful Sunsets. Incredible Views. Wooden Stairs To its Own Private Sandy Beach. 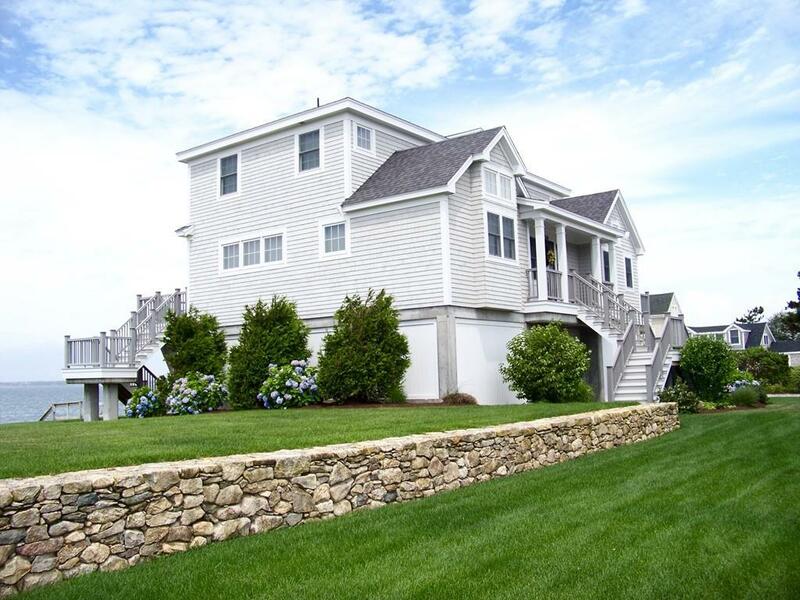 Listing provided courtesy of Bette Hamilton of Olde Dartmouth Real Estate.